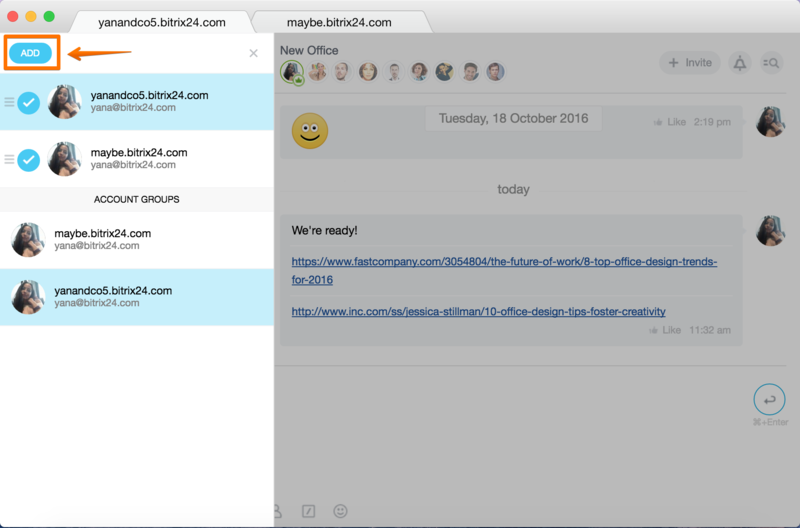 We are starting to roll out new Bitrix24 desktop app update with multiple accounts supported. A square icon will appear in the app left bottom corner. That’s it! 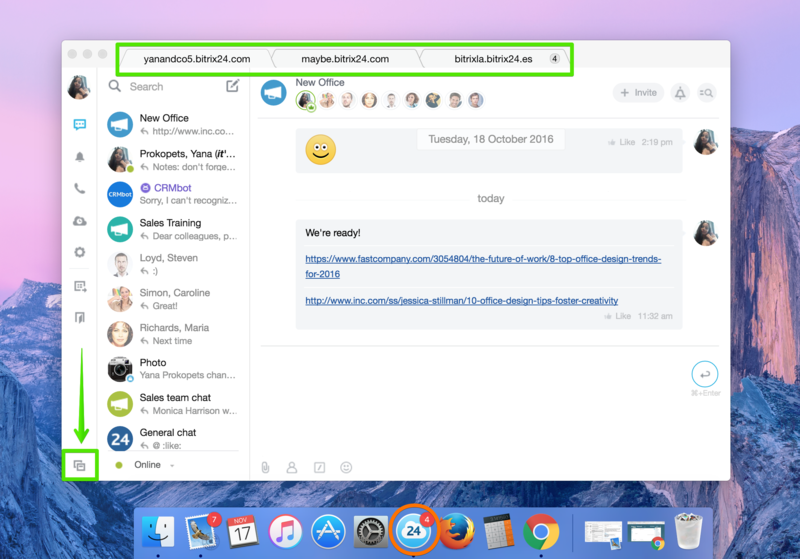 Click it to open the active desktop app accounts list and add any of your Bitrix24 accounts – cloud or self-hosted, .com, .de, .es, etc. 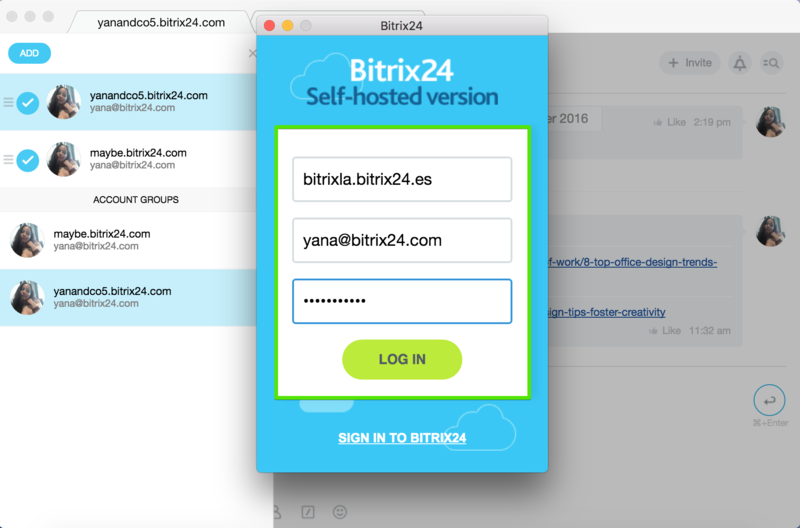 You can add your Network account login & password to have all associated Bitrix24 accounts listed in the desktop app at once. In case you have too many of them & don’t want all of them in the app, you can delete them from the accounts list. Finally, the accounts horizontal line order can be changed by dragging and dropping in the right column list. If you want to disconnect one of the accounts, make sure you switch to the another account chat first and then go to account list & click "X" delete tab to remove account. The desktop app won't let you to delete the account if you have it's chat opened.